A fun alternative guest book idea, these wood chips compliment a rustic theme perfectly. 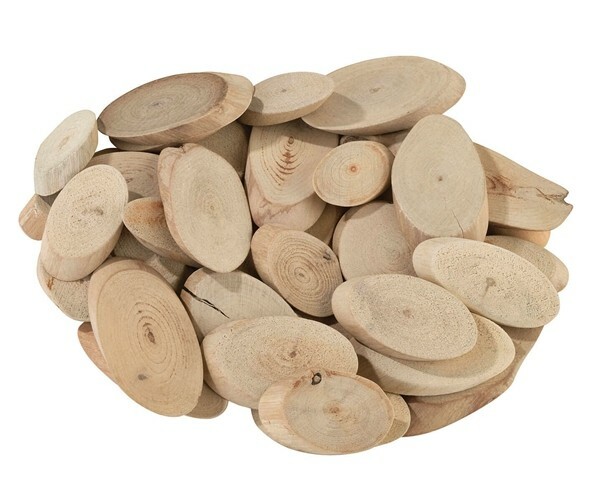 Guests write their names and wishes on these wood chips and place them in a box or basket (sold separately). There are approximately 60-70 chips.